For all my preparation and the like, I sold exactly nothing. *laughs* My only ‘profit’ was a plate of little cakes that E’s husband brought around, which was super sweet of him. But really, it’s fine. I’m proud that I made myself go out and do the thing, and that I was pleasant and attempting to engage people who came near. And, bonus, the stallholder next to me was a very nice woman, and so I had someone to chat at/with. I would still consider doing future school fetes even if this one ended up being a bust. 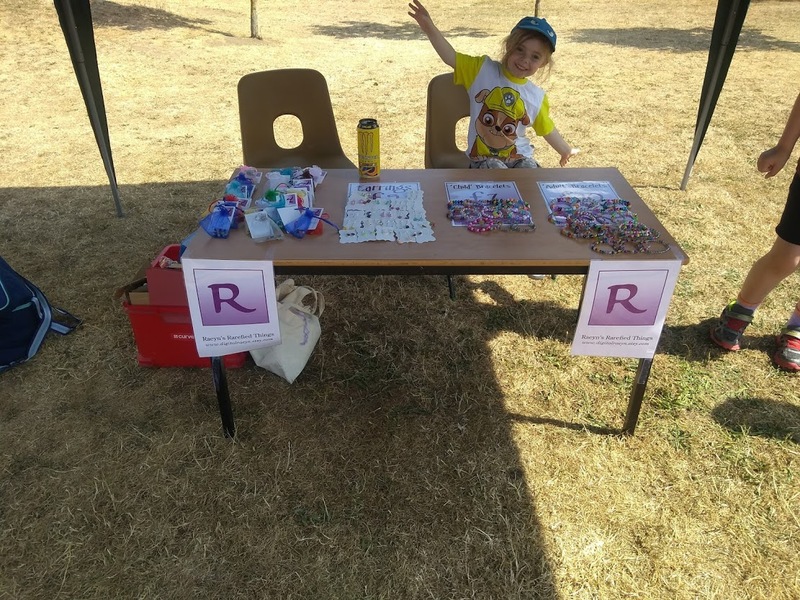 After all, it means I gave money to the school (the table fee), I gave my time, and it actually got me out and engaging with some of the local folk (albeit not as much as I would have liked to!). But yeah, pretty much been chilling out ever since. We watched the England match; I’m sure us getting into the semi-finals is a sign of the Apocalypse, ha ha. Having said that, I’d commented to Z in the last couple of days that I felt that we were a better side than Sweden, so it was nice to be vindicated. We’ll either be playing Russia or Croatia based on the results of the match that’s just starting. I think we could do okay against Russia potentially, but I’d rather see us not meet with the whole ‘it wasn’t us’ Russian government poisoning people here in the UK drama. But if it came to picking between going against Russia or Croatia, it would definitely be Russia of the two in my book. We’ll see! Levity aside, it’s rather spiffing to see my country doing so well. Right, I am going to go take my meds and zone the eff out.